A night at the museum – with robots! 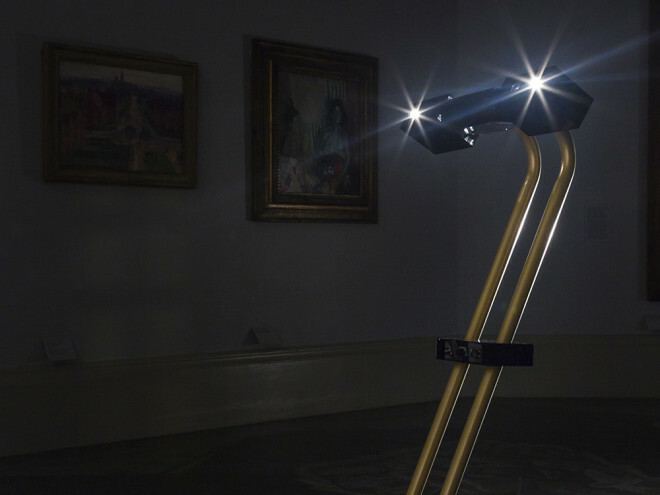 For the past couple of days, there have been four robots roaming around the Tate Britain museum in London, streaming video to the world as part of a new project. If it’s not cool enough to have robots making their way around a museum in the dark, it gets even cooler, as people from all around the world are controlling their movements from their computers. The museum held a contest to promote the use of digital technology while exploring the Tate’s notable history. 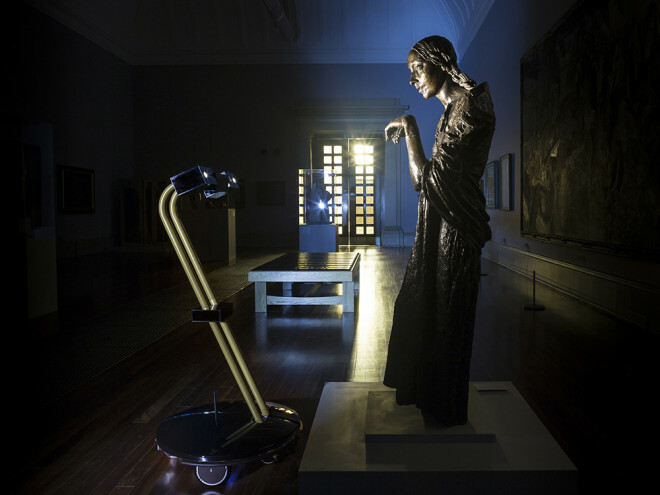 A digital design team, The Workers, developed an idea to install robot curators to the Tate’s knowledge rich halls. In a program called After Dark, The Workers enabled four robots to be fully controlled by curious individuals over the Internet for a select few evenings. What this means is that anyone anywhere with access to the Internet can become a curator. Built in collaboration with RAL Space, the four nocturnal tour guides each feature an on-board Wi-Fi receiver, an Arduino unit, a Raspberry Pi computer, lights, sonar sensors, a powerful electric motor, and of course, video streaming technology. The units can navigate the grounds autonomously using a sonar sensor and a custom 3D-printed enclosure. Interested in learning more about the After Dark project? You can find more details on its official website here. This entry was posted in Arduino, Maker Movement and tagged After Dark Project, Arduino, DIY Maker community, Makers, Museum Robots, RAL Space, robotics, robots, Tate Britain, Wired on August 18, 2014 by The Atmel Team.